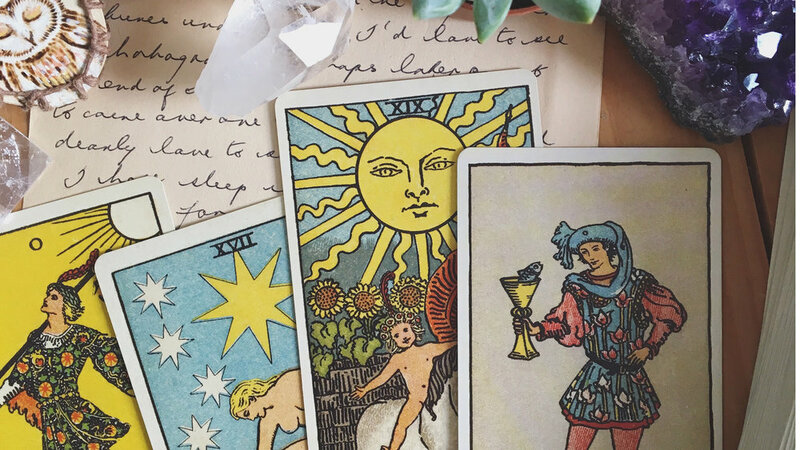 As an avid letter writer and card slinger nothing would make me happier than sitting down with a cup of tea and a handful of cards, crafting your intuitive tarot and oracle reading with pen in hand. If there’s something on your mind you’d like to explore, and you’re a fan of receiving post (who isn’t?!) this is the offering for you. Your reading will arrive snail mail style, tarot and oracle cards included (1-2 tarot + 1-2 oracle cards on average). I aim to post Snail Mail Soul Sessions within five working days (weekends excluded) from date of purchase, and I’ll let you know when your letter has been sent. Please note that tracking isn’t included due to delivery costs, but rest assured I’ll keep a copy of your letter in case it gets lost on its way to you and needs to be re-posted. Depending on where you are in the world your reading hopefully won’t take too long to reach you. Feel free to get in touch with any questions you have to prior to booking, or go right ahead and book your session. I'll be in contact within 24 hours to confirm your booking and to ask a couple of questions in preparation for your reading. Please ensure you’ve read through my Policies + Ethics before booking your Snail Mail Soul Session.